NEW YORK, NY – This week, BlackGivesBack.com will host its first ever event presented by JPMorgan Chase and its Black Organization for Leadership Development (BOLD) Business Group. The black philanthropy themed invitation only event will feature an interview with author, journalist and philanthropist Christina Lewis Halpern (pictured left), daughter of Reginald F. Lewis who was the first African American to build a billion dollar company. Today, many institutions are named in honor of her father's philanthropic legacy: the Reginald F. Lewis Foundation, Reginald F. Lewis Museum of Maryland African American History and Culture and the Reginald F. Lewis International Law Center at Harvard University. Halpern is the author of Lonely at the Top, a memoir written about her father. 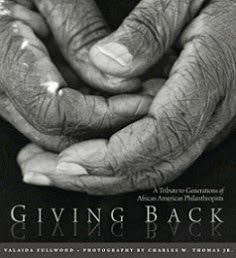 She will be interviewed by Valaida Fullwood, author of the award winning book, Giving Back: A Tribute to Generations of African American Philanthropists. JPMorgan cites findings on giving in communities of color, that with over $500 billion in buying power, over 60% of African American households give to charity; and 45% of pre-civil rights African Americans focus their philanthropy on the African American community, while the majority of younger African Americans focus giving on communities of color, minorities and the underprivileged. These will be among the major themes during the discussion. 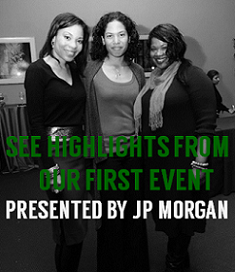 The event, which is being hosted for JPMorgan employees and special guests, will be held on Thursday, February 28th from 6:00 PM – 8:00 PM at JPMorgan in New York City. The first hour will feature the interview followed by a question and answer period and a networking reception. This event will serve as the first of several national events to be hosted by BlackGivesBack on black philanthropy. 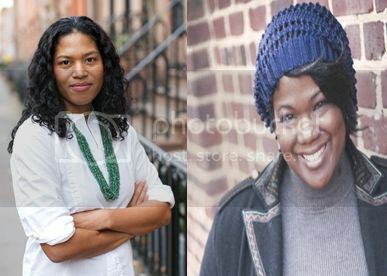 For more information on Christina Lewis Halpern, visit her website at christinalewis.com and connect with Valaida Fullwood via her blog at valaida.com.